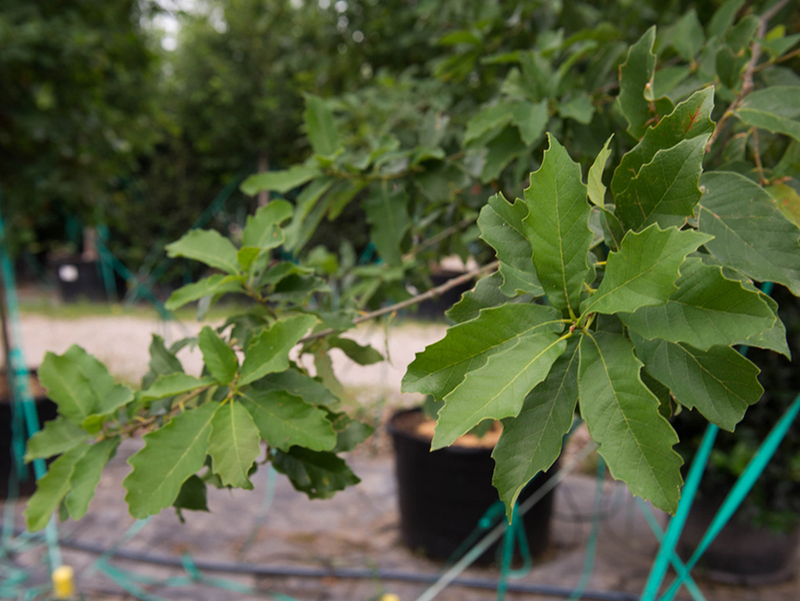 The Monterrey Oak has been spotted growing in small groves along the Mexico border near Del Rio, Texas. 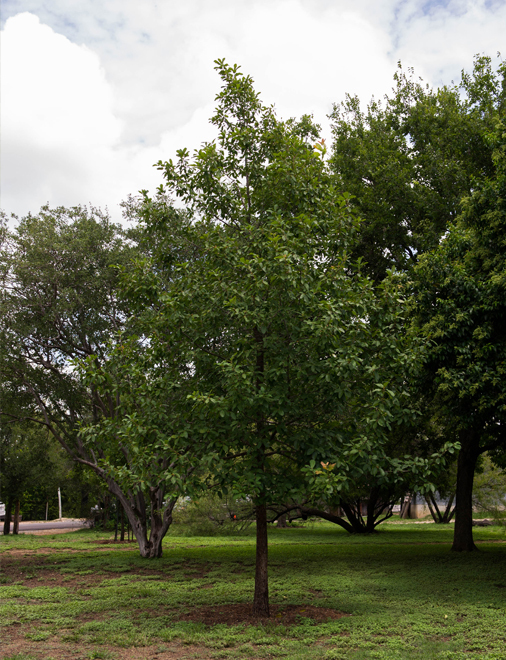 The Monterrey Oak grows more extensively in Mexico stretching from Monterrey to Ciudad Victoria along the Sierra Madre Oriental mountain range. 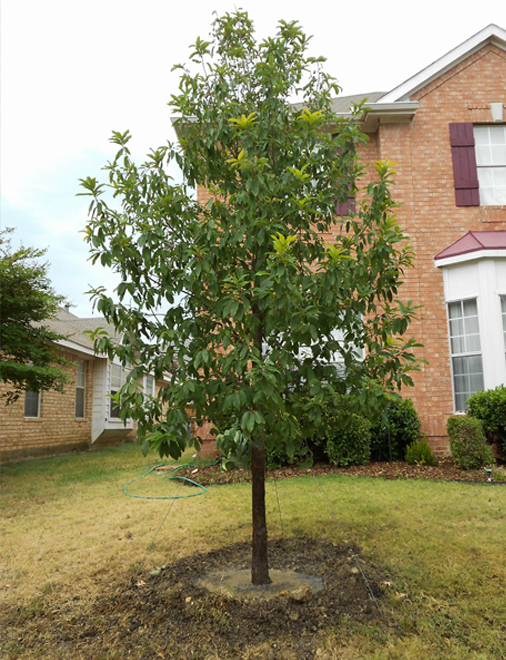 Being from south Texas and Mexico Monterrey Oaks are extremely drought tolerant and they can adapt to many soil types from sand to well drained clay soils. 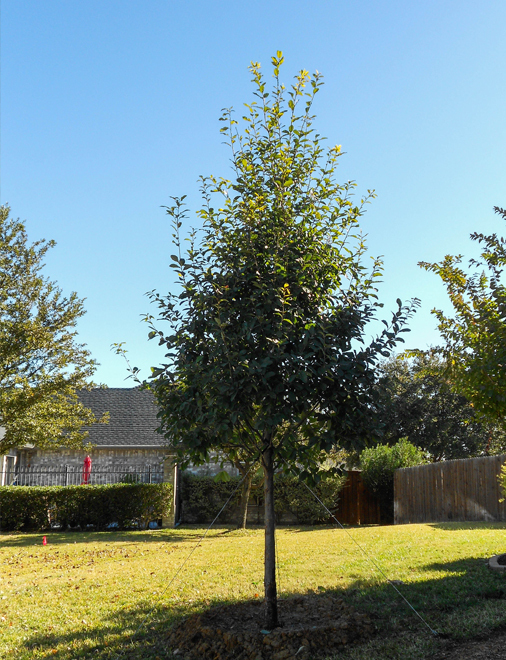 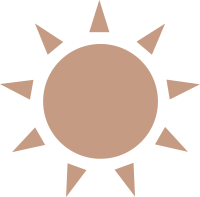 In south Texas where the winters are less severe Monterrey Oaks will retain their leaves almost all year long but in the Dallas – Fort Worth area they will start to drop their leaves in December like other deciduous trees. 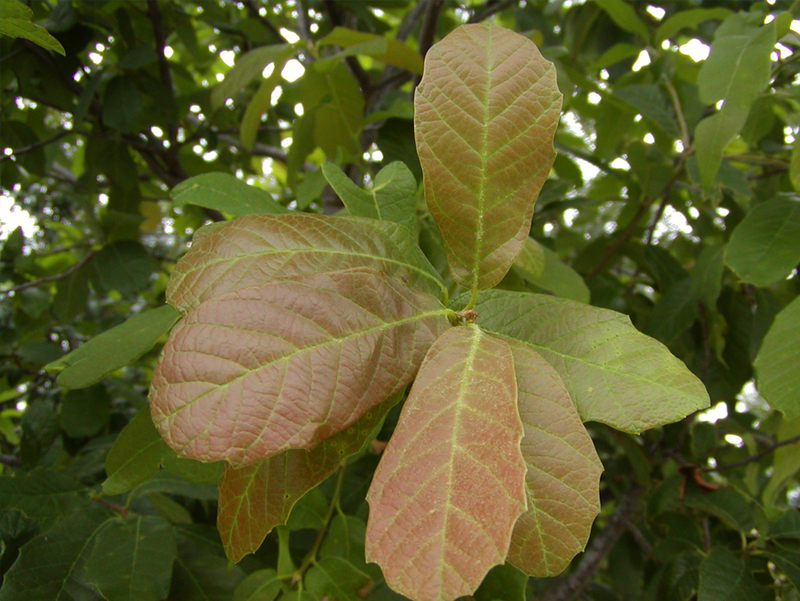 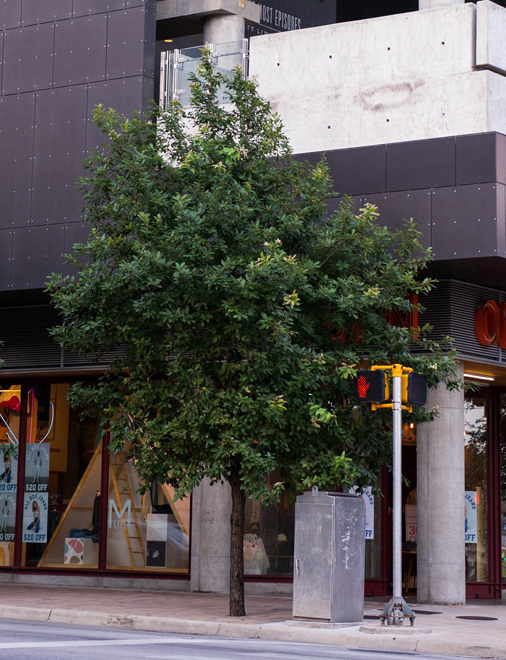 In early spring Monterrey Oaks produce peach and red colored leaves that mature into a dark green color. 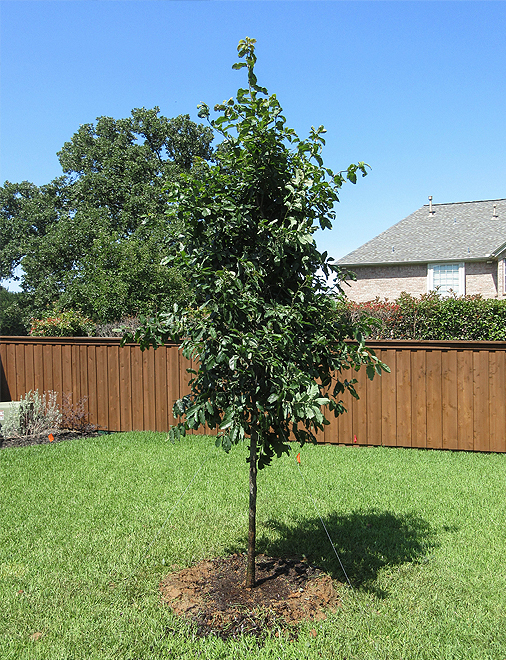 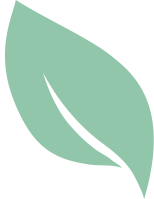 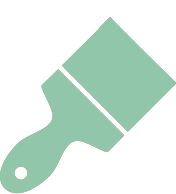 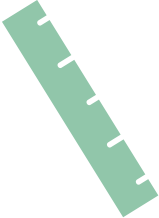 The leaves on a Monterrey Oak are 4 – 5 inches long with smooth edges and the surface has a very leathery texture. 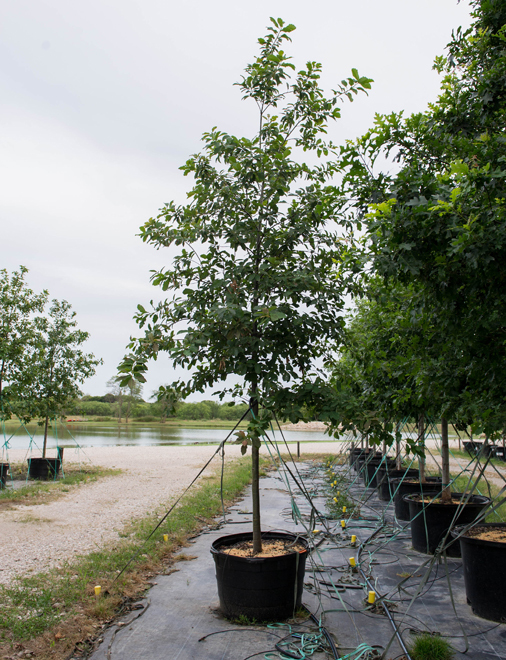 Younger Monterrey Oak trees have a narrow and upright habit and as Monterrey Oaks mature their canopies start to spread and become more rounded. 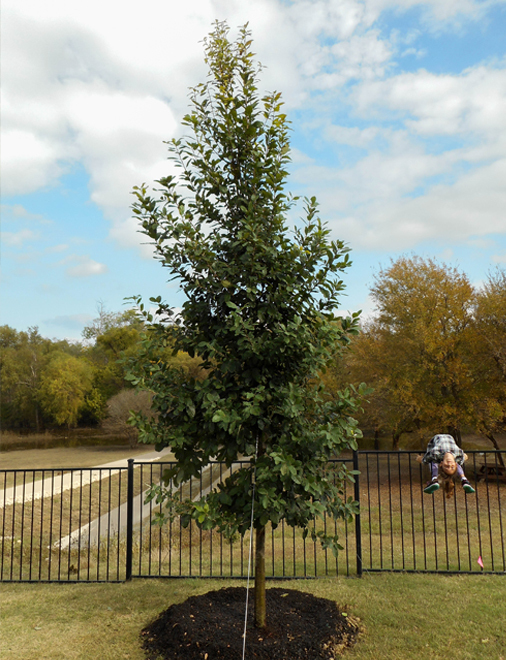 Younger Monterrey Oak trees have a light gray bark that is smooth and as Monterrey Oaks mature their bark turns dark gray to black with deep fissures.